The Royal Society for the Prevention of Accidents (RoSPA) has announced the launch of a new online portal aimed at helping older motorists to stay safe when taking to the roads. It is being supported by funding from the Department for Transport and hopes to become a key tool in ensuring drivers understand how their abilities can change as they get older. RoSPA head of road safety Kevin Clinton commented: "The older we are, the more experience we have as drivers. This is one of the reasons why older drivers tend to be safer and more considerate drivers. "However, our health and fitness often begins to decline as we grow older. Our eyesight, physical condition and reaction times may not be as good as they once were, and we may develop age-related conditions, or be taking medications that can affect our driving. "There comes a time when each of us needs to reduce our driving, or even stop altogether." Some of the key features of the new website include tools to help users find local driving assessment or refresher training providers, information regarding the law about health conditions and driving, how often and how older motorists should renew their driving licence and how to recognise if and how their driving is changing. 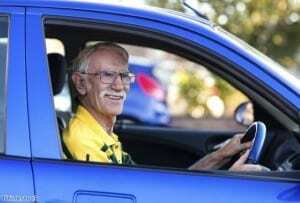 It hopes to enable road users entering their golden years to maintain their independence for longer, while at the same time providing an essential service in identifying the risks that motorists can pose to themselves and others when they fail to recognise they are no longer fit to safely take to the roads.